ThemeForest - Felix v1.0.0 - Responsive Music, Event WordPress Theme - 16223316 | Free eBooks Download - EBOOKEE! Posted on 2016-09-27, by manhneovn. 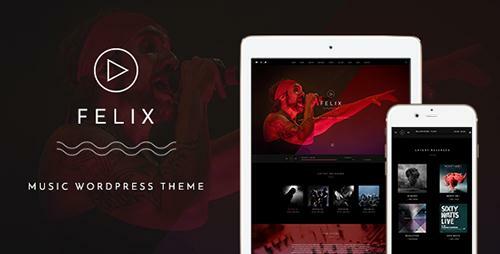 Felix is a completely creative and perfect theme for musicians, DJs, Bands and other business that are related to music. We've made a great effort to give you the most complete music theme that not only is the best on the market but also it is completely functional to make it easy to use and customize. With Felix you can easily manage and display your artists, albums, audios, images, videos, events and sell your tickets with ease. No comments for "ThemeForest - Felix v1.0.0 - Responsive Music, Event WordPress Theme - 16223316".